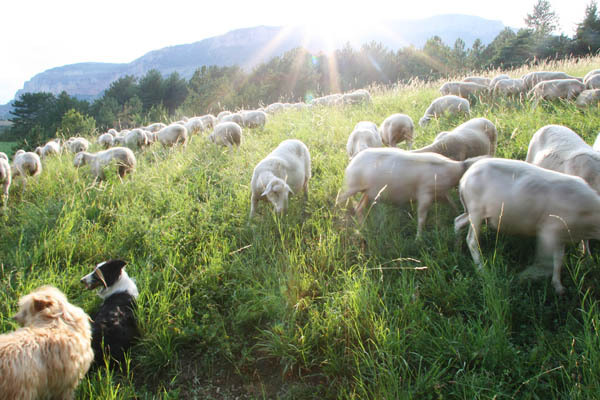 This entry was posted in Dogs, Farming, Photography and tagged Alps, Dog, farm, Farming, photography, sheep, sheepdog. Bookmark the permalink. The certainly look very happy dogs. Just looking at them makes me feel tired! When they’re with the sheep they never stop moving. They must run 10 times more than what we walk – and that certainly makes me feel tired! The sheep all look a little stunned by the sudden light of the opened door… It’s an incredible sight to see them on the mountain side in the morning sun…. just beautiful. Thank you. I never get tired of watching them grazing – it’s very peaceful. Cows?! What’s a cow?! No, only joking! There is a farm with cows just down the road, but that is unusual. They are usually found towards the north of our department. I love those two dogs! Look how happy they are! We have sheepdog trials here on my little island on West Coast Canada where I can occasionally watch these proud little canines working those wayward sheep! Once on a trip to NZ, I went to a sheep ranch where the owner explained the incredible aspects of managing a large flock. 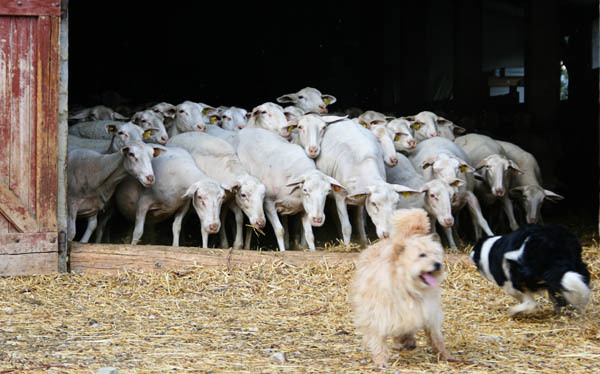 He had a lot of Shelties – but his various breeds would jump on the backs of the sheep and run across the herd to get into position! I also learned why all the different colours of chalk were on the backs of sheep. Clever! Thank you for stopping by! 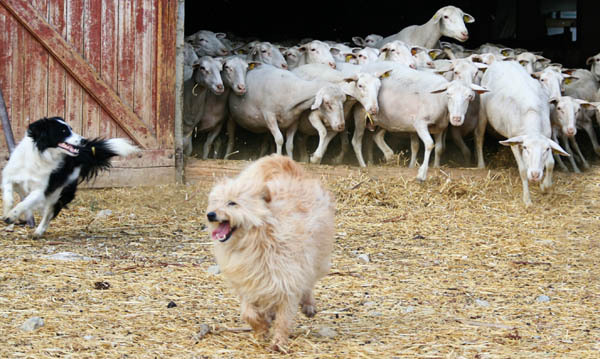 I have never heard of dogs running across the backs of sheep before – I would love to see that! …and they look like they’re having real fun! I also truly think those sheep have a friendly goat-like look about them, which I like. The dogs running on the sheep’s back is a very Australian thing too. 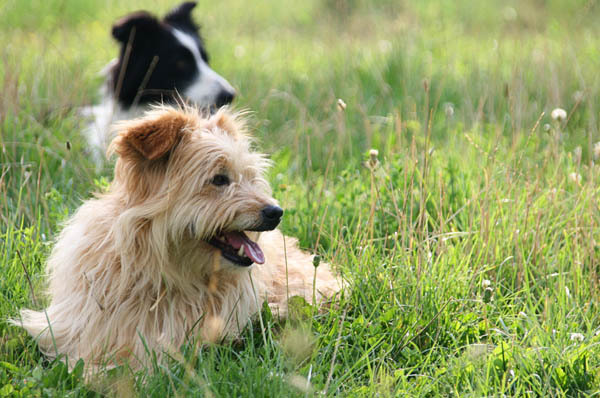 Have just been onto Youtube to watch a video of dogs running on sheep’s backs (in Australia as it happens). Amazing! I wonder how they train them!